Are you, or would you like to be, a “locavore”? Eating food from your local foodshed (generally within a 100 mile radius) has been a growing trend for several years now. There are many benefits, including fresher food, health considerations (usually organic, non-genetically modified), reduced environmental impacts (shorter transportation, less packaging, etc. ), and the socio-economic benefits of supporting local businesses. • Farmers Markets – These are cropping up all over, and you can find one near you at http://www.localharvest.org/farmers-markets/. Set your location and click on “Find Farmers Markets”. There are 15 listed in the Richmond area alone. 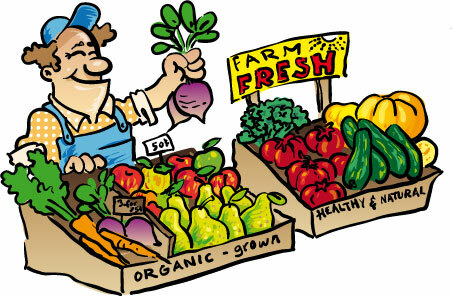 • CSAs – Community Supported Agriculture has become a popular way to buy fresh, local, organic food directly from a farmer. You purchase a share or membership, and receive a box of seasonal produce regularly (weekly, monthly, however you set it up) throughout the year. Find options near you at http://www.localharvest.org/csa/. • Online markets – More and more “stores” such as Relay Foods (now located right around the corner from the Moseley Headquarters!) offer online shopping for local, organic, non-GMO, special diet, and even standard food choices. You can pick up your order for free, have it delivered to a hub location near you, or ship directly to your door! This is a great option for people who hate grocery shopping. Check to see what’s available in your area at https://www.relayfoods.com/welcome. • Regular grocery store – Pay attention to the source of the produce you buy in the grocery store. Many stores now offer more options due to the popularity of eating local. • Grow your own garden!